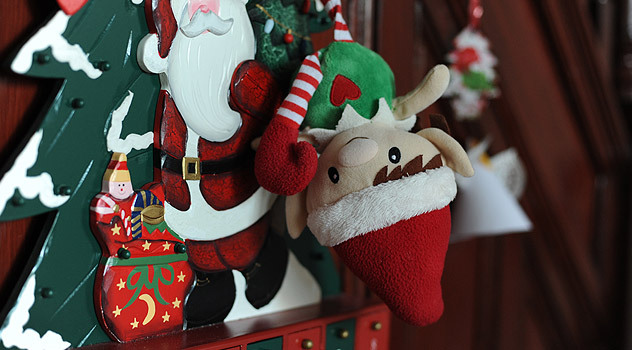 Last Christmas a stranger came to stay to our house. 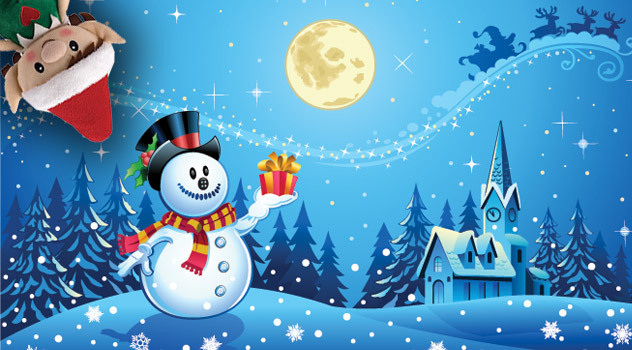 He was there to have fun with the kids, play games of hide and seek, create mischief of one kind or another and amuse the kids in the run-up to Christmas. I wasn’t any bit concerned, in fact, it was a pleasure to have him around. 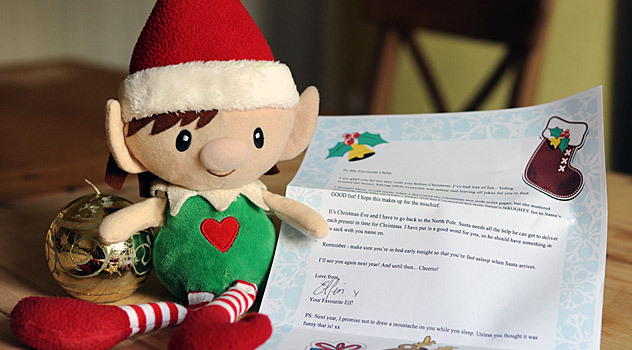 The stranger was Elfin – our very own magic elf. 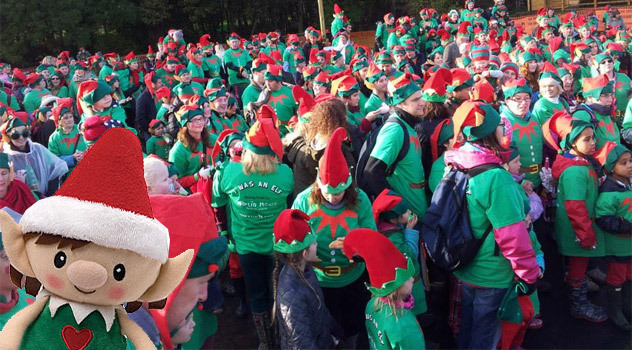 Recently I was flicking through some family Christmas pictures and spotting our magic elf on several of the pictures made me smile. 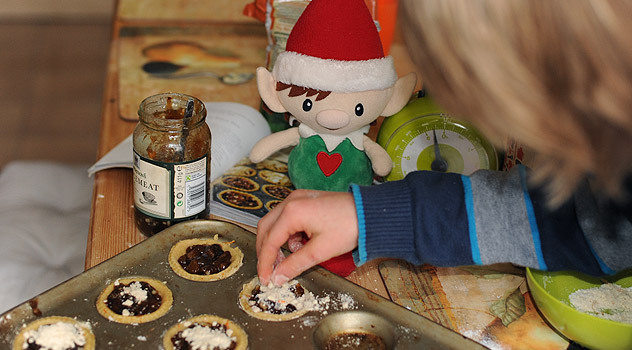 He was just so full of energy and never seemed to run out of ideas for mischief (just like the children!). Here are some of the “situations” we found him in! 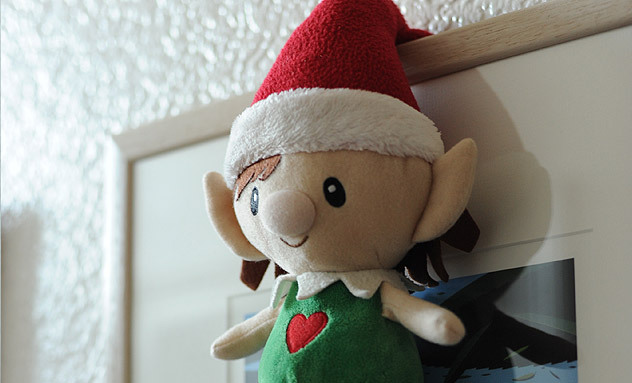 As always full of ideas for mischief – Elfin shows no fear of heights and hooks his hat onto a picture frame! He must have used all his magic powers to climb – or maybe fly, up there! Hiding in a pair of winter boots – we just couldn’t find him before breakfast and only did as we got ready to leave the house. 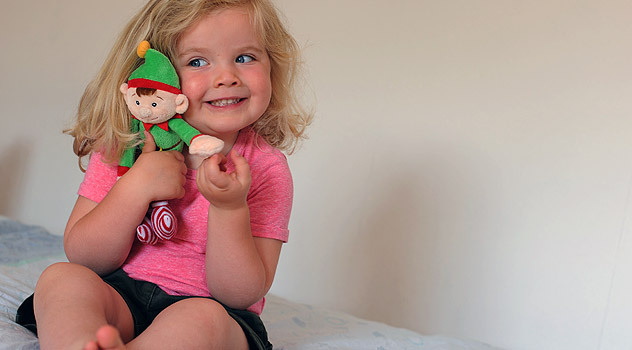 Cuddled up in bed one morning – the quickest hide and seek game ever! 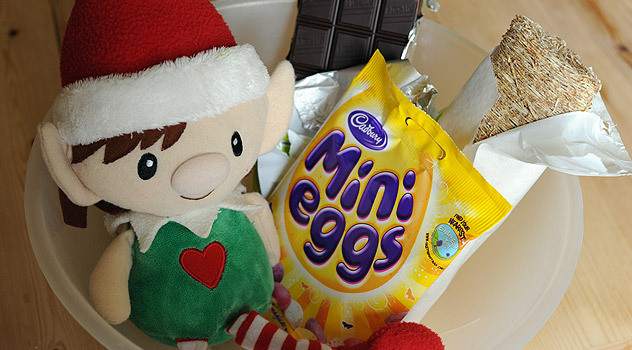 We found Elfin cuddled up in bed one morning. It was the quickest hide and seek game ever and everyone had a good giggle! 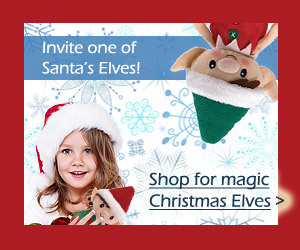 I wonder if Elfin is running out of ideas? 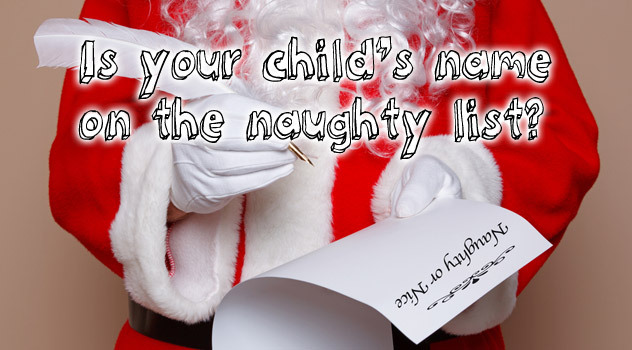 It turned out that the cheeky chappy hadn’t run out of ideas yet! That’s where we found him after a long search. 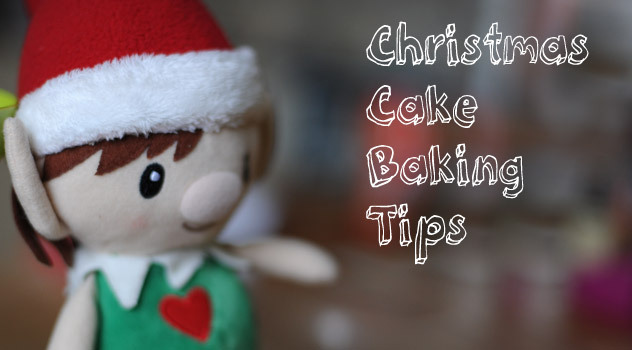 Thankfully he got in at night when the oven was unlit. 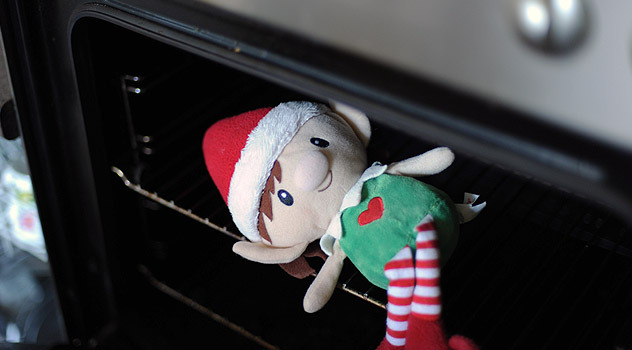 The kids lectured him on the dangers of ovens and scared him with horror stories, so I don’t think he’ll be back in there any time soon! My eldest son told him it was an elf and safety hazard, which left our elf rather puzzled. 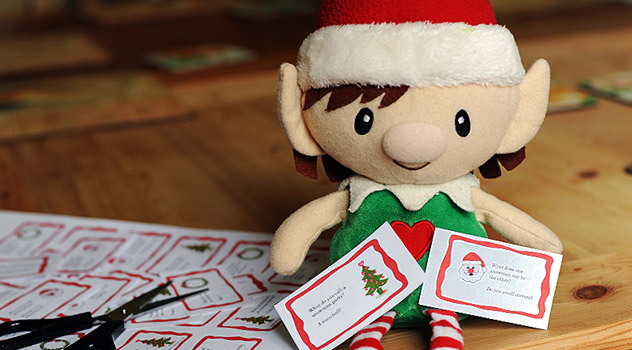 The Magic elf tradition is hugely popular in the US and is gathering momentum in the UK and other countries around the world. What is it? 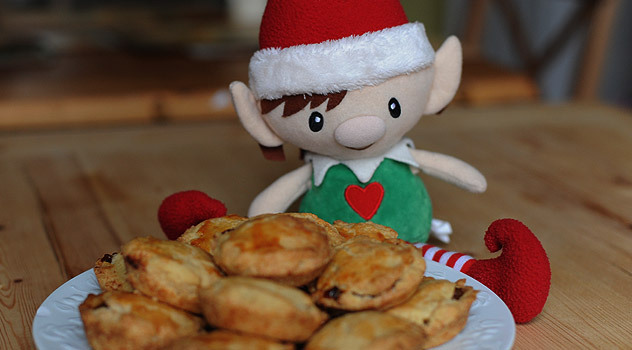 It is when one of Santa’s magic elf comes to stay for the duration of the advent and spreads festive fun and mischief. 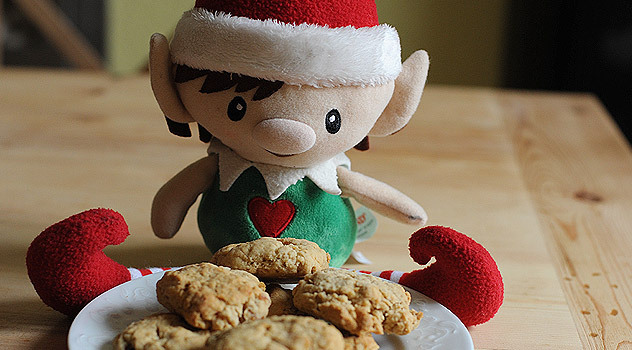 Rumour has it that the elf comes to keep an eye on the kids so he can relay what he sees to Santa to help him keep his naughty/nice list up to date. What’s especially fun is that during the night elves are quite restless and hide or sometimes get into mischief. 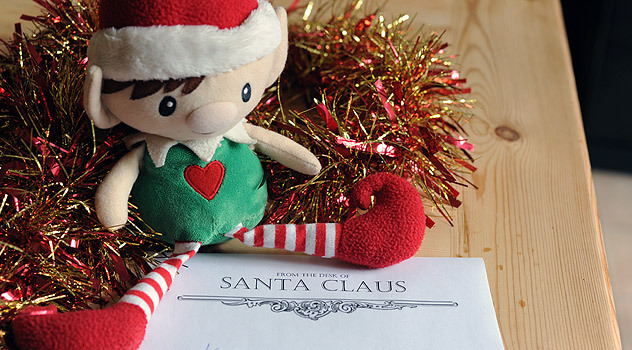 That inspires the kids to start each day with a treasure hunt/hide and seek game as they leap out of bed to find out what their magic elf has been up to. 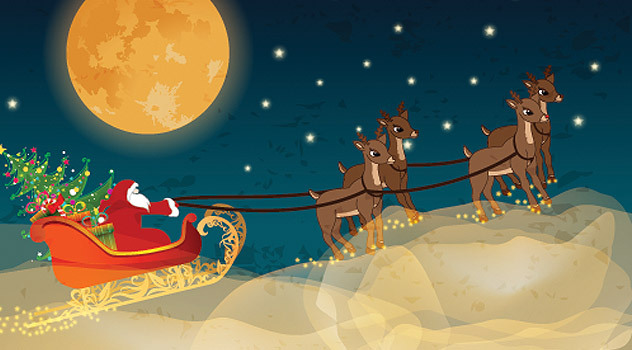 On Christmas Eve, the magic elf must return to the North Pole to tell Santa about his recent adventures in the Children’s World and help him delivery Christmas gifts. 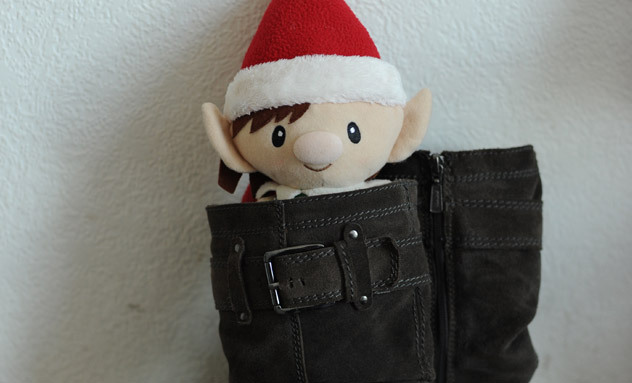 That is one naughty elf! 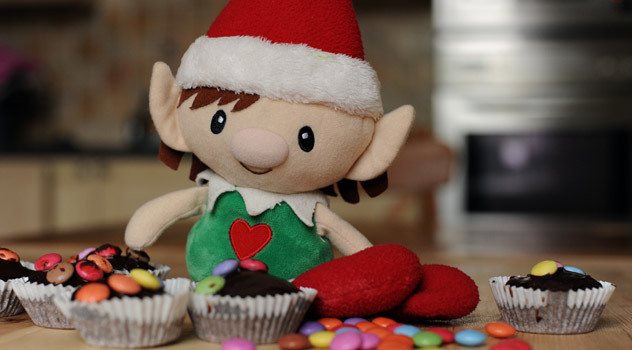 I would love for one of you elves to come visit me this year! Please come and have a visit at my house please. 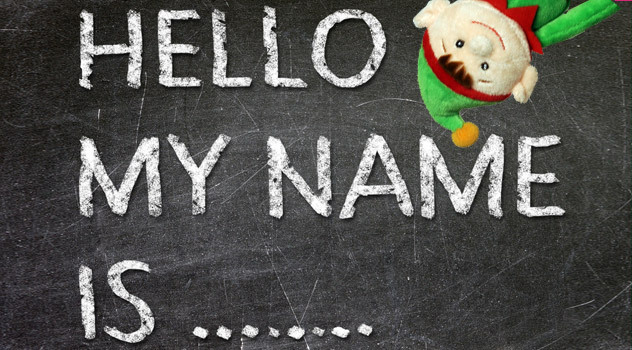 Will pass your request on Yasmyn, ask your parents too! 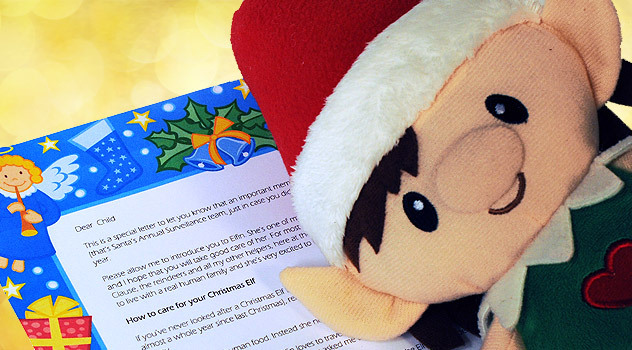 Hopefully we can spare an elf and send him / her to your house! 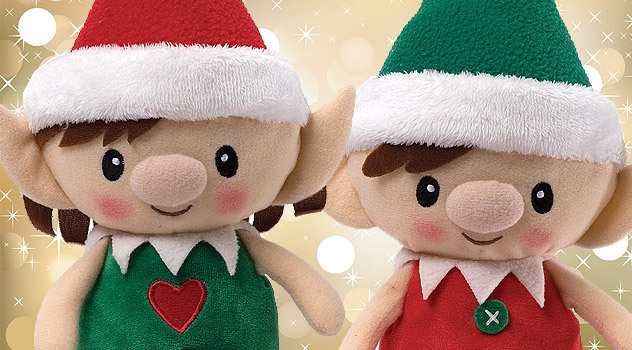 How can i get one of you elves for free i would love to know for christmas. But if they are not able to come, then i would like one of you elves under my christmas tree please!!! 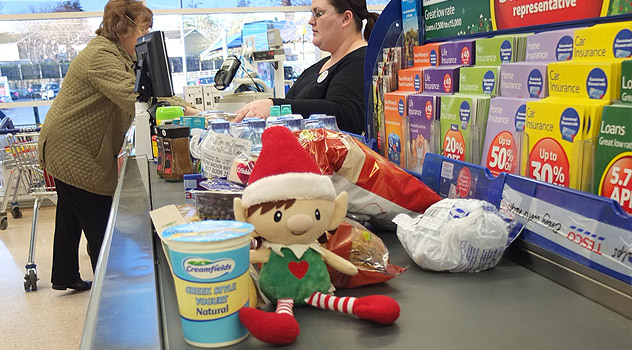 Sorry Yasmin, free elves a quite rare – we need a small fee to cover travelling expenses and other cots.